The stamps are from the October Stamp of the Month, Very Merry Christmas. I inked my ornament with Smokey Plum pigment ink and clear embossed. I then swiped Pearl paint into the un-embossed area to add some shimmer. You will have to take my word for it...I don't see any shimmer in the photo either! At least my bling still blings! I finished out the inside as well. The pattern paper is from the Moonlight paper pack. 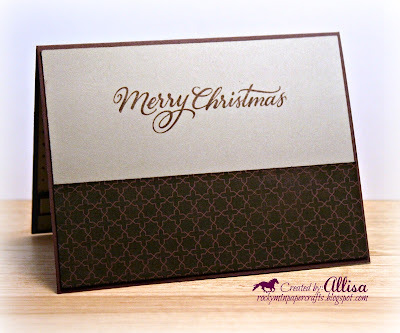 While the paper pack is more so for Halloween, I thought the purple colors worked well for a Christmas card. 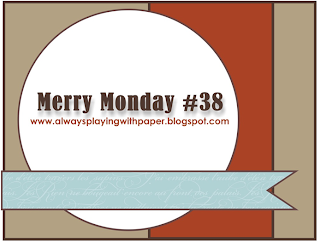 You have until Monday at Noon (PDT) to link up your card at Merry Monday! I love the embossed ornament, such a pretty card! What a beautiful ornament, Allisa! And that rhinestone brad on the organdy ribbon is gorgeous! I love that you've used non-traditional colors too. Gorgeous card Allisa, love the ornament and the ribbon! 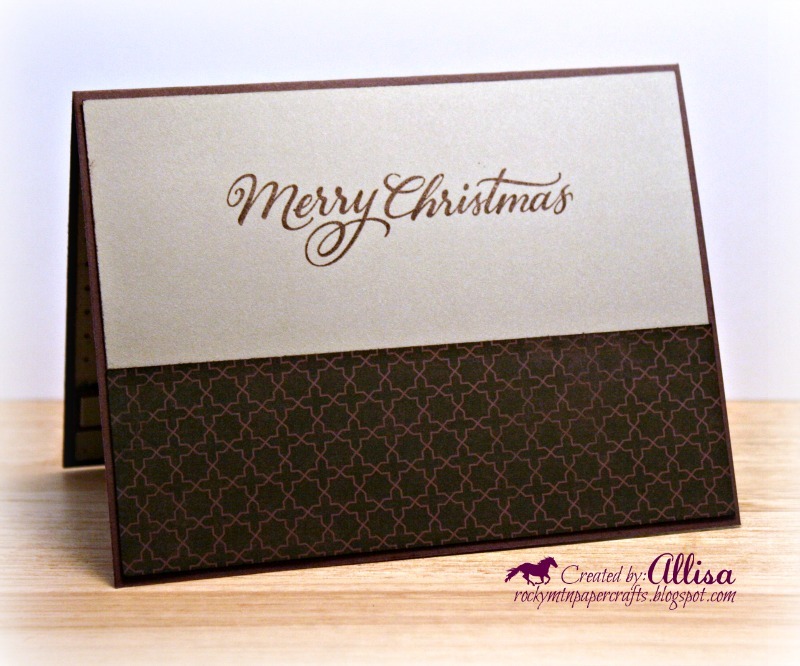 Your card is stunning Allisa! I love the shine on the ornament and your beautiful bow and brad. Just gorgeous. Beautiful card!! I love the bling you added! 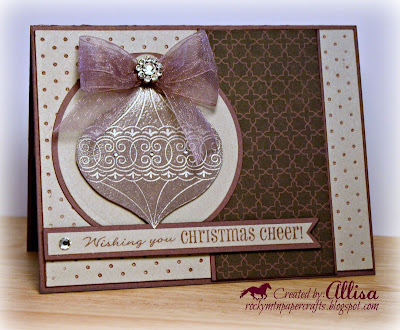 Stunning card Allisa, your ornament and the bow are beautiful and the papers are wonderful. 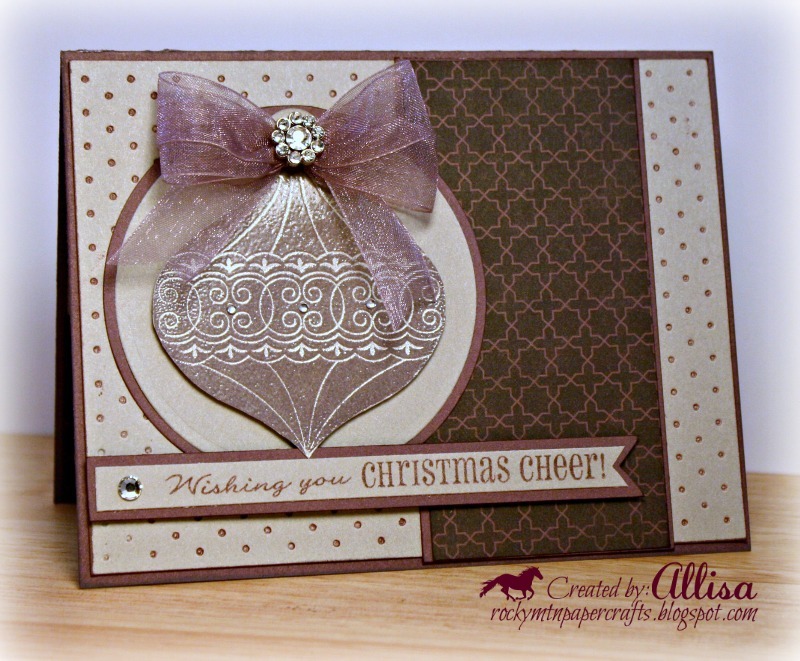 Proud to design for ABC Christmas Challenge. Gorgeous ornament...the colors are beautiful too. 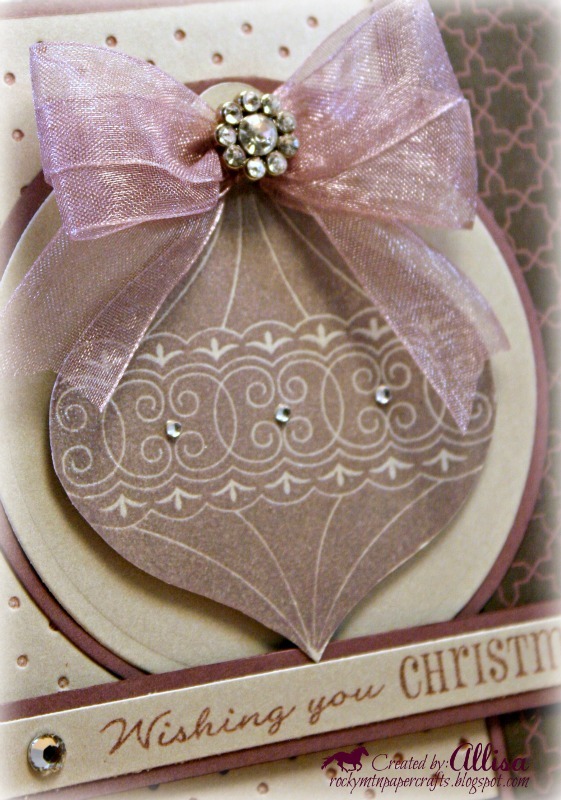 What a pretty embellishment and ribbon treatment! Glitzy!! Oh my goodness this is beautiful inside and out! Love, love, love the bling and your perfect bow! such a beautiful card! Very classy! Thank you for joining us at Emergency Crafters!